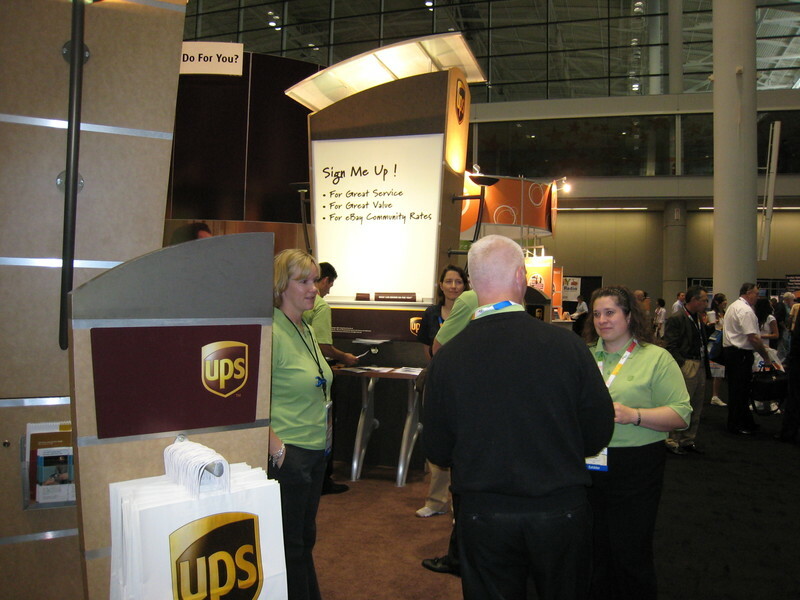 With all the resources they’ve spent on branding themselves as brown, UPS has a booth full of people with green t-shirts. What’s up with that? It turns out to be not nearly as unplanned as it looks. I asked a smart woman at the booth why they weren’t wearing brown shirts. "On purpose," she answered. "UPS is green. We’re talking about packaging and shipping options that are green, meaning environmentally friendly." So what seems like a branding error is actually working as an icebreaker and conversation piece leading to an important discussion. Nicely done.